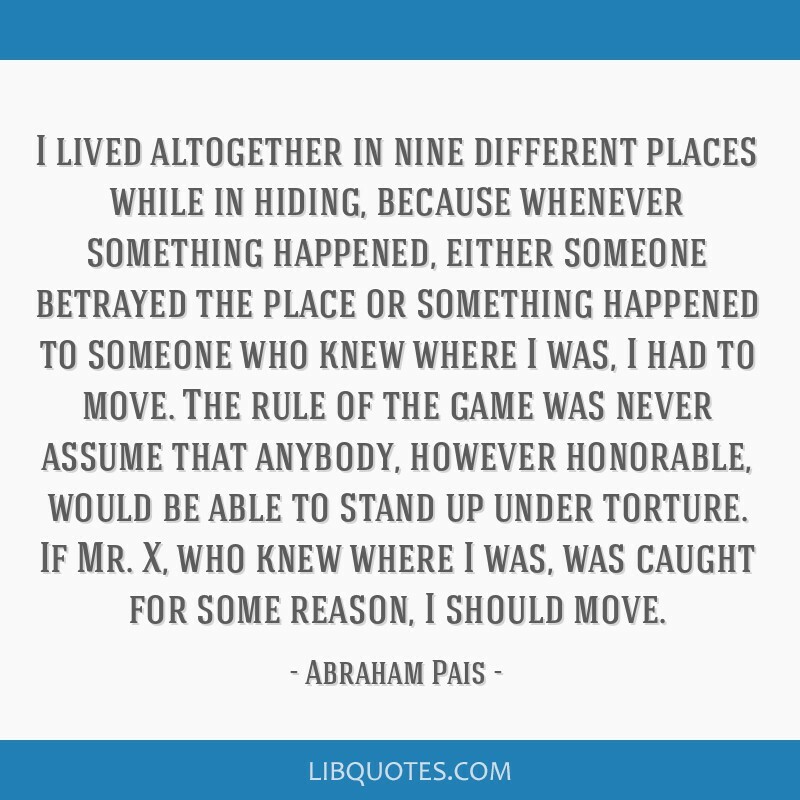 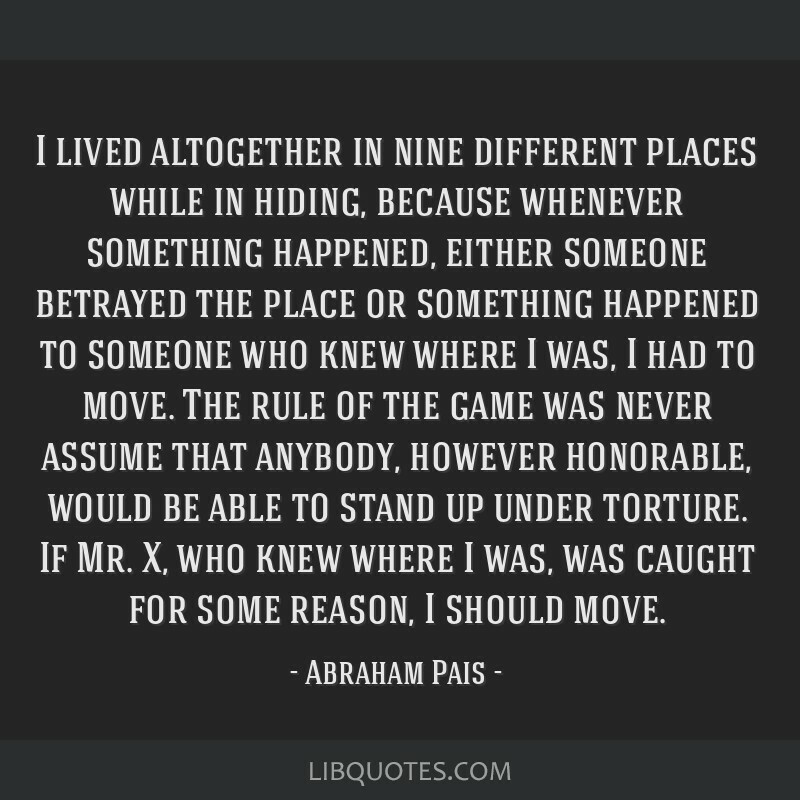 I lived altogether in nine different places while in hiding, because whenever something happened, either someone betrayed the place or something happened to someone who knew where I was, I had to move. 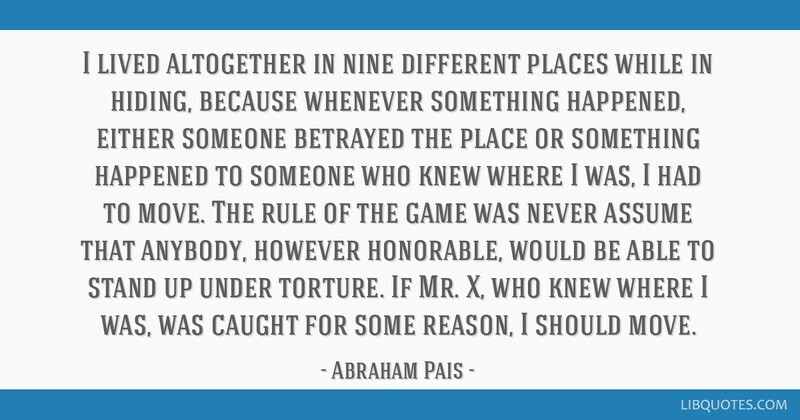 The rule of the game was never assume that anybody, however honorable, would be able to stand up under torture. 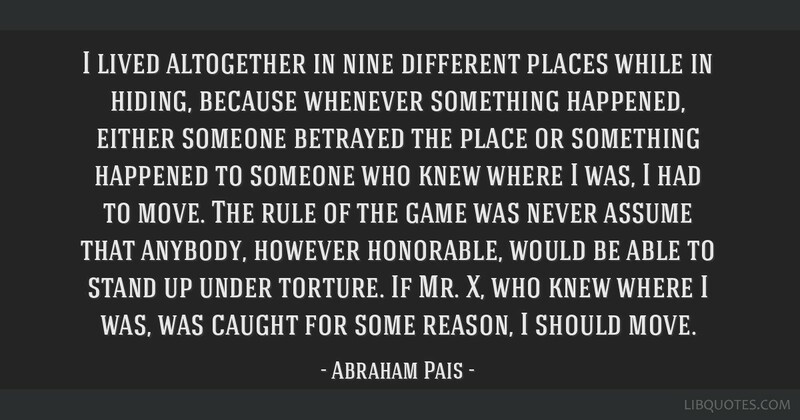 If Mr. X, who knew where I was, was caught for some reason, I should move.